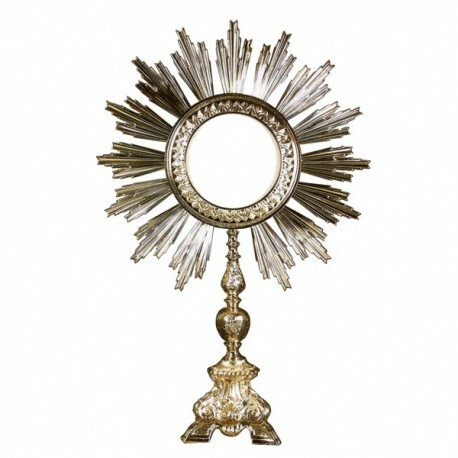 Golden and silver-plated baroque monstrance for magna host. 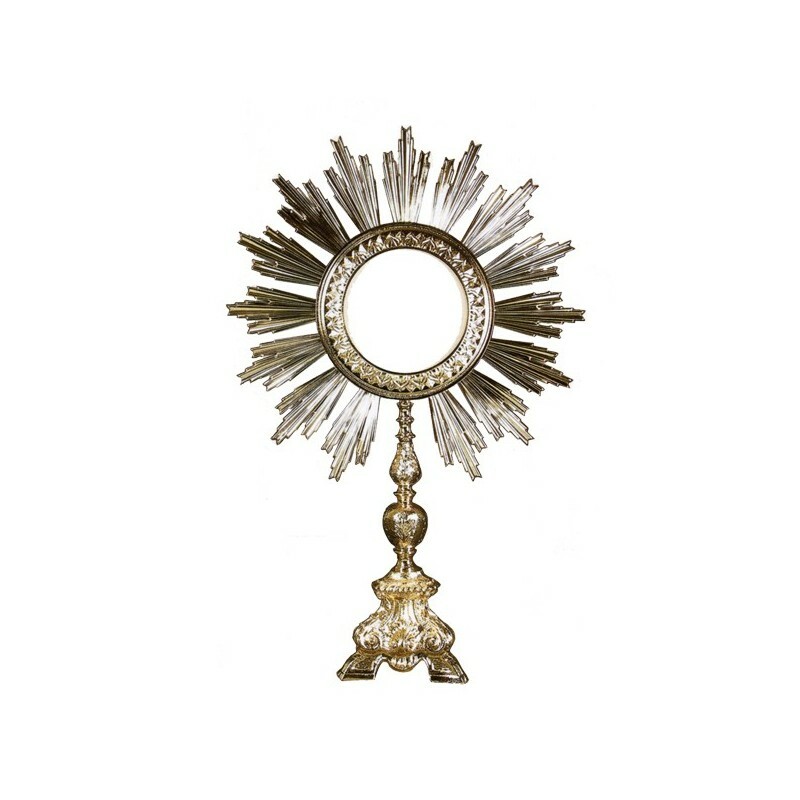 Baroque monstrance, D. cm. 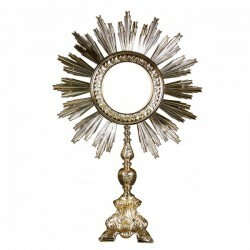 15, H. cm. 64, for magna host.